Should students selling nasi lemak in school be punished? The AntDaily has an interesting feature written by Shahful Shaffiq. It is a story that reminds him of a time when his schoolmates engaged in little trades at school. Nasi lemak, snacks and even decorative accessories were among the more popular items that were sold. But in general, students knew that it was an offence and action would be taken if these sales were done within school premises without authorisation. Yet this did not deter some students as they were driven by the need to make some money to elevate the financial burden faced by their families. This convinced me that such sales by students should not be stopped through harsh punishments, but should be encouraged in an organised and thoughtful manner. In fact, this entrepreneurial talent can be developed through business and entrepreneur programmes among students. Even a simple programme like “Entrepreneur Day” can be a suitable platform for students to polish their potential to become a successful entrepreneur in the future. In addition, it will help students’ creativity and foster closer relationships and cooperation between students and school authorities. We should not underestimate life’s opportunities. 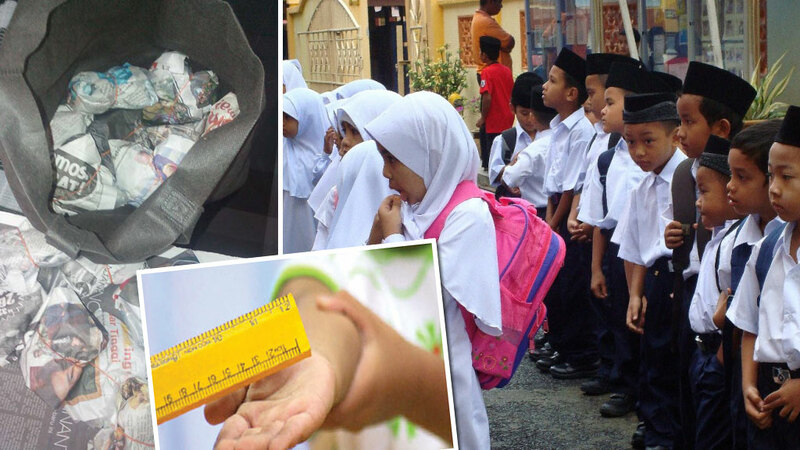 Facebook page Siakap Keli shared a sad and poignant story about two primary school students in the south-west district of Penang. The nasi lemak ordered by their schoolmates were confiscated by a woman teacher and their headmaster resulted in a loss of RM17 which they could have used to cover their school expenses. We can’t deny that the newly implemented GST has impacted the lower income group and there is a need for them to find alternatives to supplement their income. Was the school’s actions warranted? Are headmasters and teachers really educators if they do not have the compassion and understanding towards the two students who may be from lower-income families. I do not disagree with the view that students are not encouraged to sell anything within school premises unless there are activities like a bazaar or weekend activities. Besides that, schools might want to avoid any incidents of food poisoning because if anything happens, the school canteen would be the prime suspect. But we should understand that those students are still young, and it would not be wrong if they were given proper exposure and the relevant steps to conduct business. It is good that these students have a passion for business this young, and who are aspiring to be entrepreneurs in the future. If we want to achieve success we need discipline and knowledge, no matter what the field. These students are not wrong to try their luck in school. In their hearts they might feel that the teacher is at fault for not understanding the necessity behind selling nasi lemak to help their family with daily expenses. What’s important is that educators should do their best to shape young students’ talents. They are blank canvasses that should be filled with vibrant patterns and not messy like graffiti. They should be shown good examples and not be hindered when they do their best to earn some side income. The pursuit for side income is not limited to students, and I don’t think it would be incorrect to point out that there are teachers who also conduct business in school premises. Like students who neglect their studies because they are too busy with their business, public servants should not neglect but instead do their duties with the utmost responsibility. Based on observation, there are teachers and other government employees who use social media to sell various products and services, even during working hours. This situation will create various negative perceptions and can affect the image of educators. It will also cast doubt on the real reason teachers go to school – that teachers are not committed and misuse teaching time to conduct business. We should take a closer look at ourselves before we find fault with others. Teachers who are most effective are those who do not belittle their students’ efforts, especially in public. Teacher who give the highest respect to their students will receive the utmost admiration from them. Teachers should respect the rights of every student, and neither shame nor humiliate them in front of their peers or other school staff.